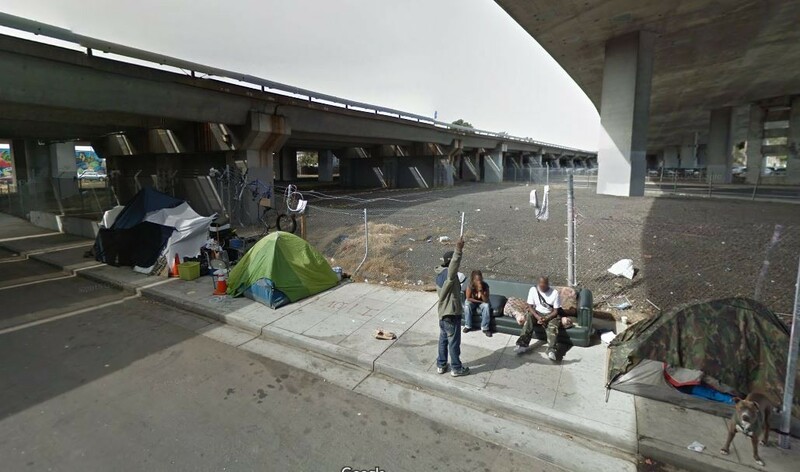 A homeless camp under the 880 Freeway in downtown Oakland. 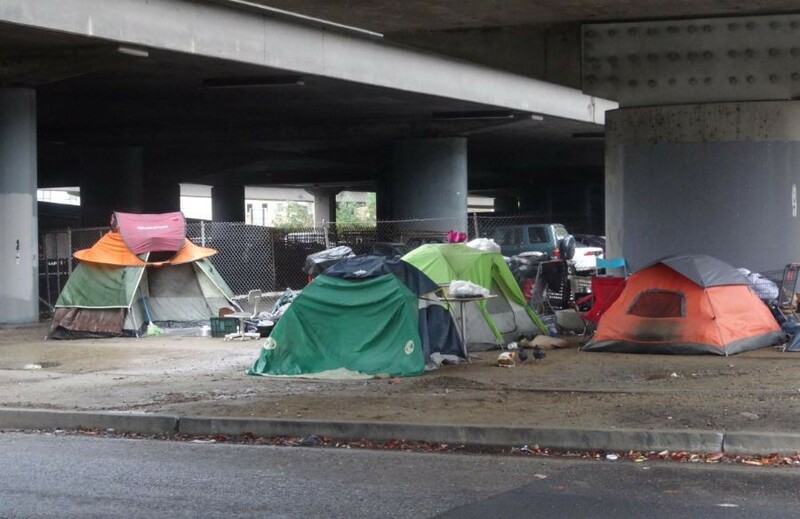 Since January, the City of Oakland spent $72,212 to close 162 homeless encampments and to dispose of garbage and the belongings of homeless people who are living on the city’s streets and in its parks, according to city records. The Public Works Department closed 66 homeless camps at locations all around the city, but mostly at locations in the flatlands near freeways, along street medians, and on sidewalks in industrial areas. The Parks and Recreation Department closed another 96 homeless camps in parks, again mainly located in the flatlands of East and West Oakland and downtown. Many of the camps targeted for closure were reoccupied immediately after the city attempted to remove them. A homeless camp near the intersection of Sycamore Street and Northgate Avenue that was closed in 2015. There are currently 4,040 homeless people in Alameda County, according to the most recent count by Everyone Home, a nonprofit that coordinates Alameda County’s homeless services. About half of the county's homeless, 2,190 people, live in Oakland. But there are only 350 to 410 shelter beds in Oakland, according to the city, so approximately 1,384 homeless people sleep on Oakland’s streets and in its parks every night. As rents continue to reach record highs, many fear that the numbers of newly homeless people will increase. According to city records, 69 percent of Oakland’s homeless are Black, even though only 28 percent of the city’s total population is Black. A homeless camp on 36th Street near Martin Luther King, Jr. Way that was closed in 2015. Children are also prone to becoming homeless in Oakland. In 2013, the Oakland Unified School District estimated that more than six hundred students experienced homelessness at least once. Veterans are also at increased risk of homelessness. A 2013 survey of the homeless in Oakland found that 20 percent previously served in the military. Representatives of the Oakland Public Works Department didn’t respond to a request for comment about the closure of homeless camps this year. But records show that in 2015, the city disposed of 500 cubic yards of materials while closing the camps, enough to fill 50 dump trucks. Updated 9:50 a.m. 12/23: According to Kristine Shaff, spokeswoman for the Oakland Public Works Agency, in addition to ordering homeless people to leave their camps before city workers clean the area, the City of Oakland also partners with Operation Dignity to reach out to camp residents and offer hygiene kits, blankets, clothing, and services including shelter. Correction: the original version of this post incorrectly described the Parks and Recreation Department as part of the Public Works Department. They are separate departments. 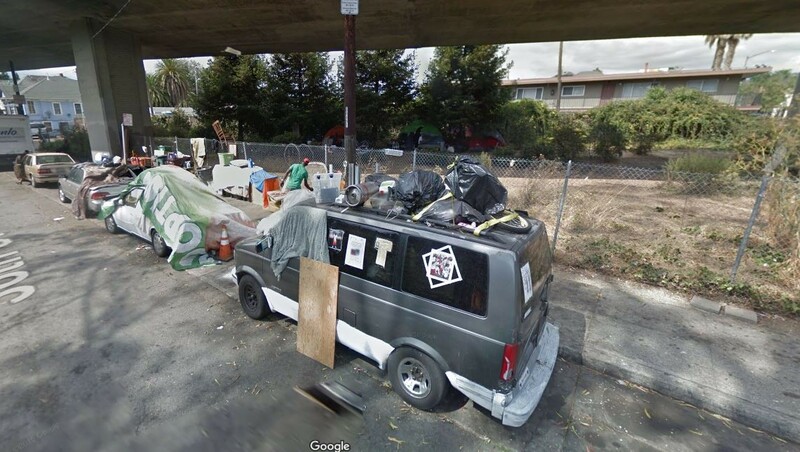 The Oakland Public Works Agency closed 66 homeless camps in 2015. 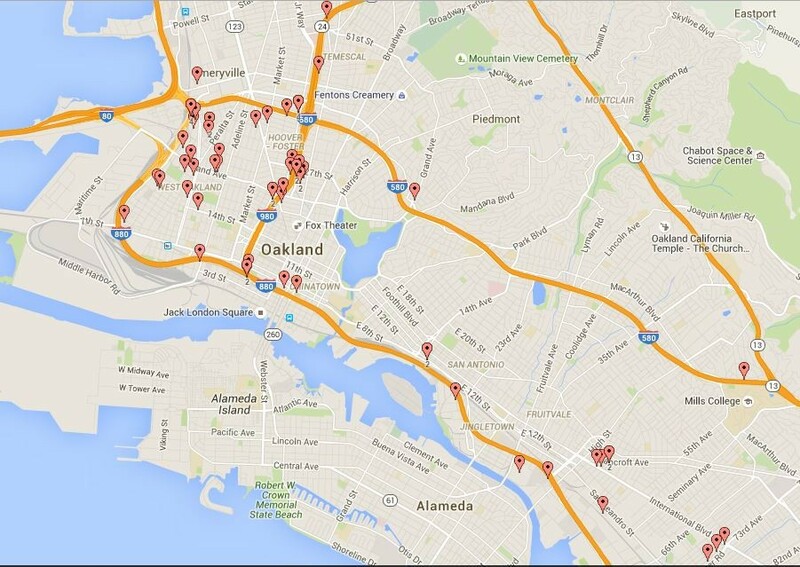 Most were located near freeways and industrial areas of West and East Oakland.